Multifamily software is property management software that is designed to support the nature of (rented-out) multifamily properties. To qualify as a multifamily property, it must be made up of multiple separate housing units—either within a singular building or a singular complex—for tenants to rent. Condominiums, apartment buildings, and student housing properties require a different management style than single-family or other residential properties. With tailored solutions, multifamily software can take care of the entire renting cycle, from lead management to unit marketing to accounting to resident relationship management. Multifamily software is also capable of streamlining back-office administrative needs of multifamily property companies. Multifamily software provides a comprehensive solution that takes care of the intricacies that comes with property ownership, community management, and maintenance management of such properties. This kind of software centralizes the daily operational aspects and business needs of a multifamily property business; e.g., marketing and leasing, CRM, revenue management, resident screening, and facility management. Multifamily reviews by real, verified users. Find unbiased ratings on user satisfaction, features, and price based on the most reviews available anywhere. ResMan is a cloud-based property management suite best suited for large and midsize companies in the multifamily industry. Key features include rent, leasing and budget management, portfolio management, and lead management. The ResMan Multifamily Solutions Suite includes tools to help users manage reporting, budgeting, leasing and rent collection, portfolio views, lead management, document storage, and text messaging. Users can also follow maintenance requests, accounting tasks, financial report writing, and resident retention tracking. The resident portal allows renters to check balances, pay rent and fees online, send maintenance requests, and receive property alerts. Users can purchase additional ResMan software to help with completing verifications and annual recertifications, managing monthly housing assistance payments and tax credits, and maintaining compliance. ResMan also provides users with access to a network of vendors who have developed add-ons and integrations for the ResMan suite. Phone support is available. Pricing is per unit and per month. NexusPayables is your SAAS-based, single software solution designed to streamline and manage the entire accounts payable process from purchase to payment. Rent Manager is powerful property management software that combines all the features you need to run your business into one integrated solution. Exceptionally customizable and ideal for properties of every size, Rent Manager is your key to an effective and efficient business. Any Portfolio, Any Size, One Software—Rent Manager. At some point or another everyone rents an apartment. So why is the process of renting so difficult? At On-Site, we’re fed up with all the paperwork, the trips to the leasing office and the endless waiting in applicant limbo. We believe that renting should be fast and easy, and more than anything, renting should be fun. After all, what's more exciting than picking out your next home? Since 1999 we’ve been building cloud-based software that helps renters and property managers across the country get things done. From online applications to instant qualification tools and digital documents you can sign electronically, at On-Site, we move leasing online. Yardi Breeze is online property management software built for small to mid-sized owners and managers of residential and commercial real estate. It can manage single family homes, multifamily apartments, commercial properties and mixed portfolios. The cloud-based property management platform has tools for marketing and leasing, rent collection, maintenance, accounting, owner statements and CAM recovery. •	Set up properties, units and tenants in minutes •	List units and let prospects apply online •	Communicate with prospects and tenants via email or text •	Upload lease documents, videos and photos to tenant accounts •	Collect rent online •	Enter and track maintenance requests online •	Capture videos and photos using a smartphone or tablet •	Manage payables, receivables and general ledger functions •	Create custom reports for owners and provide secure access •	Automate CAM expense reconciliation and recovery Additional features include autocomplete address lookups, data import utility, home screen dashboard and drill-down reporting. 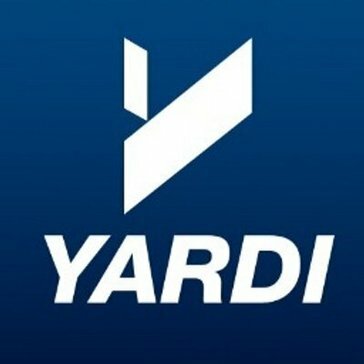 Online payment processing, prospect screening, resident insurance and prospect and tenant portals are also offered within Yardi Breeze. Need assistance? Built-in live chat support and on-screen tours and tutorials help users navigate the system. Pricing starts at $1 per unit per month, billed in arrears, based on a one-year contract. Contact us to get a free demo. Jenark Property Management software is a modular system designed for property managers and owners for community association management, multifamily management, and commercial management. KeyTrak’s Multifamily Plus system features enhanced key and asset management capabilities that give property owners and managers greater control over their properties than ever before. MRI Residential Management is a fully integrated set of offerings designed to support the management of multifamily properties. Property Matrix is a cloud-based property management solution geared towards apartment complexes and multi-family unit properties. It offers a full suite of applications for managing multiple properties: tenant and lease tracking, property accounting, building maintenance, CRM and online classifieds. For property managers, constantly managing cash flow and turnover while maintaining operations is a challenge. Instead of just focusing on accounting with few add-ons, Property Vista embraces a holistic approach with many diverse property management system tools. Property Vista is built with equal importance to each area of property management, with the needs of real property managers at its core. From integrated software to automatically advertise vacancies to online portals for residents to pay and lodge maintenance requests, Property Vista enables landlords to excel at their jobs. Let the software automate repetitive, time-consuming tasks and help sort, file, dispatch, alert, and manage the rest. Advantos Systems, Inc. provides separate enterprise level property management software to handle the accounting and management needs for those companies managing either apartments and commercial properties or homeowner association properties. Apmama is an online apartment management software. ALL-IN-ONE: Property Management & Accounting, used by property owners and property managers all around the globe. ASYST6 CC&R is an HOA software tool for community managers featuring letters tracking, dates tickler, responsibility and inspection tracking, and reporting. Bazinga! is a HOA Software that offers everything that strata councils, boards and homeowner associations (HOAs) need for community management and communications. BReal incorporates in a single solution the ability to manage a condominium and the leases of its properties. Manage properties as owner or as tenant. The Rental Inspector App is specifically designed for property managers, letting agents, estate agents and more.The smart user interface and interactive features guarantee a quick, yet accurate recording. Management tools allow users to easily access maintenance data, and control the inspector & inspections! Manage and optimize their day-to-day condo and HOA community living and management. Forwardpass.com is a cloud-based system for building and managing communities. Our on-demand accounting and property management services are provided securely over the Internet. Happy BI is a robust business intelligence app designed to empower real-time analysis of operations performance metrics across enterprises. Hi there! Can I help you find the best Multifamily solutions?